The Mate 10 duo sits at the top of Huawei’s spec sheets and price lists, but a the “value for money” leader may still be hiding in the shadows – the Huawei Honor V10 aka Honor 9 Pro. All we have for now are early drips of information from TENAA, but they sure taste sweet. 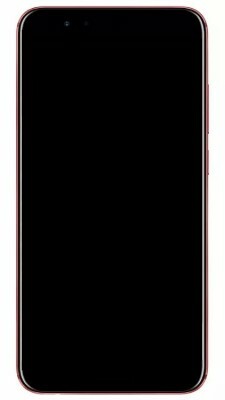 It will have a 6” screen with 18:9 aspect ratio, matching the Mate 10 Pro. The panel will be sourced from BOE, a Chinese manufacturer that Apple is also considering for its future OLED screens. You also get the full power of a Kirin 970 chipset with 6GB of RAM and Android 8.0 Oreo (EMUI 8.0). With ample storage too, 64GB or 128GB. Battery capacity is unknown for now, but fast charge is on board – 22.5W. The Honor V10 also boasts a 16MP + 20MP dual camera on its back, so it’s the same hardware as the Leica cam, thought some of the software features might be missing. Still, at a price of CNY 3,000 (around $450/€390) it undercuts both the Mate 10 (CNY 3,900) and the Mate 10 Pro. The V10 should be announced on December in London. Don’t forget about the more affordable (CNY 1,300) Honor 7X that the company launched a month ago. That too has an 18:9 screen (5.93”) but drops down to a mid-range Kirin 659 and has a 16MP + 2MP dual camera. LEICA dual cameras are exclusive only to the P and Mate series. And yes, since the Honor brand is cheaper there will surely be some trade offs. Don't feel bad about buying a premium device unless you feel like you've been ripped off. If you want AMOLED, buy a Samsung. It's their own OLED technology. OnePlus too, since their displays are Samsung manufactured and dubbed as "Optic AMOLED".